Deciding to sell your home is a decision not easily reached but when your selling price is too high it can make the process even more difficult. Once you make the decision to sell your Bakersfield home you need to hire a Bakersfield Realtor and while locating a Realtor is easy, hiring a good one may prove a larger task. In today’s article; When your selling price is too high we’ll discuss hiring a local agent and proper pricing. First step before evening thinking about a listing price is hiring a local Bakersfield Realtor to represent you in the sale of your home. Most sellers choose to interview three agents and ultimately pick one based on either commission pricing, local experience in the area or a referral from someone they know. When the agent’s arrive to meet you they will likely want a tour of the home to evaluate it’s condition and may even take some photos for their comparable report. Be weary of an agent that has arrived at your home and is prepared to discuss sales price during your initial contact, after all the agent hasn’t yet had the option to do proper adjustments to arrive at a fair market value. While interviewing the agent, ask questions about their experience, local market knowledge and tenure as an agent. It’ll also be helpful if you do some preliminary research on the agent for past reviews. Sites like Yelp! will give you some insight on the agents performance while real estate website giant Zillow will give you past testimonials, how many homes the agents sold and other pertinent information. After you’ve conducted the interviews with the agents, next will come the comparable market analysis or CMA for your home. This is the report that the agent will send you that is compiled based on homes similar to yours that are both recently listed for sale and have sold. Most often the reports will take a day or two for the agent to complete and compile, this process isn’t something you’ll want rushed as the sale of your home depends on proper pricing. The values in the CMA’s you receive really shouldn’t vary greatly, in fact a variance of 5% or more would be considered unacceptable. If this occurs don’t be afraid to ask the agents for a copy of the comparables that were used along with a detailed analysis of the adjustments that were accounted for. You may receive reports stating your home value is less than you anticipated, likely you may receive reports that the value of your home is worth more than you expected. DO NOT make your decision to hire an agent based on the agents valuation price!!! Unfortunately I’ve seen in the past where an agent has actually asked the seller “What do you think is a fair price for your home”? Isn’t that an agents job to determine the value? Ugh! That’s literally a complete injustice to you as the seller because one of two things will happen; 1. either your home will be overpriced and thus you won’t get the traffic needed to sell your home, or 2. you will get an offer shortly after being listed and potentially leave thousands of dollars on the table. Hire an agent that has the experience, accurate valuation and past results to sell your home and avoid the agent that tells you exactly what you want to hear and ultimately “Buy’s Your Listing”! Did you know the first 30 days of your home being listed is the most critical time? Think of the list price of your home as a triangle with a bar through it, the higher the bar a.k.a list price on the triangle the smaller the surface space or amount of buyer pool. The lower the bar on the triangle, the larger the buyer pool and ultimately a quicker sale. When your selling price is too high you greatly limit the amount of people that will want to see your home and if you’re priced to high for more than 30 days you may loose all the momentum and excitement of being a new home on the market. As time progresses and your home becomes a stale listing buyers will think “What’s wrong with the house” and “Why hasn’t it sold”? These questions often result in a buyer moving on to another home that their more interested in. Agent’s telling you what you want to hear and “Buying the listing” know in the back of their minds they’ll have to do a price reduction in order to sell the home. So while you’re excited about your agent listing your over-priced home on the market, please be aware that’s all it will ever be is listed… not sold! Be very mindful while meeting agents that you are being told the truth and not just what you want to hear. 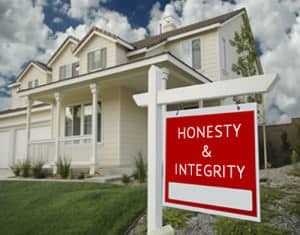 Agents with your best intentions in mind will tell you the truth from the start and not necessarily what you want to hear. Hopefully this article, When your selling price is too high helps you in locating the perfect agent and pricing your home properly from the start. As always if you have any additional questions please feel free to contact us directly or leave a comment below.